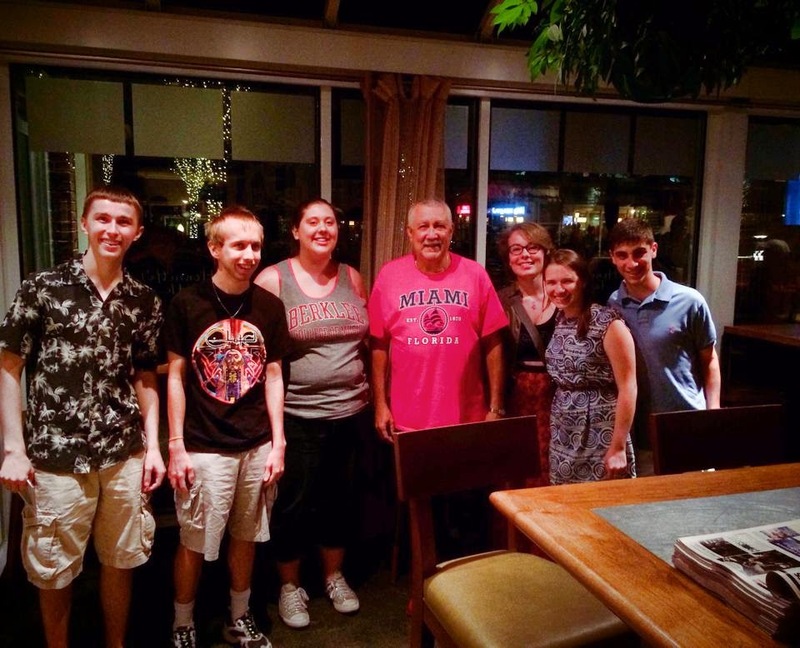 This past Friday, July 11th, I had the pleasure of seeing Paquito D'Rivera at the Regattabar in Cambridge. Paquito is a Grammy winning saxophonist and clarinetist originally from Cuba. His music combines jazz, classical, and Latin jazz elements, making for a truly engaging musical experience. The first time I saw Paquito perform live was at the 2013 Newport Jazz Festival, where he played in the Eddie Palmieri Latin Jazz Orchestra. 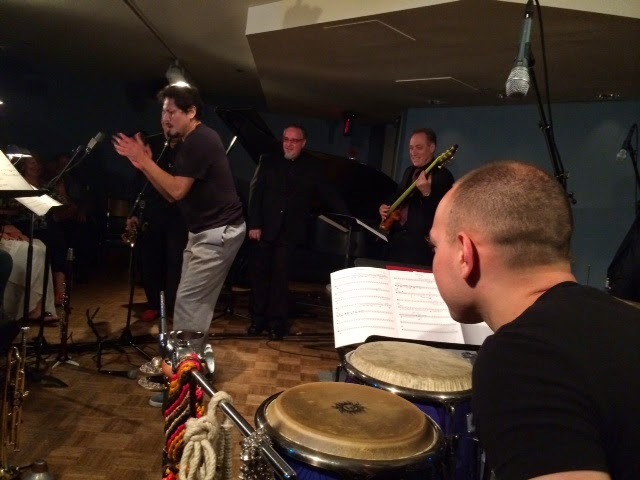 Listen to the NPR recording of the show, and you will see why I was so excited to hear Pauquito play again! To learn more about Paquito, visit his website. Paquito's latest project "Jazz Meets the Classics" presents classical pieces in a fresh, Latin jazz infused way. Classical pieces by Beethoven, Chopin, and Mozart were presented in a way that respected the original version, while also infusing personal elements for added energy. Paquito would often joke with the audience while introducing pieces, sharing valuable insight into the true "origins" of these well known classical pieces. With a chuckle, Paquito claimed Mozart was truly from New Orleans before he went to perform part of the Mozart concerto, with a New Orleans spin. Paquito would weave in the straight, full sound of a "classical style" with the loose, be-bopping energy of a "New Orleans style" seamlessly. While taking a cadenza, Paquito leapt between octaves, forming the skeleton of the original melodic statements with added embellishments. 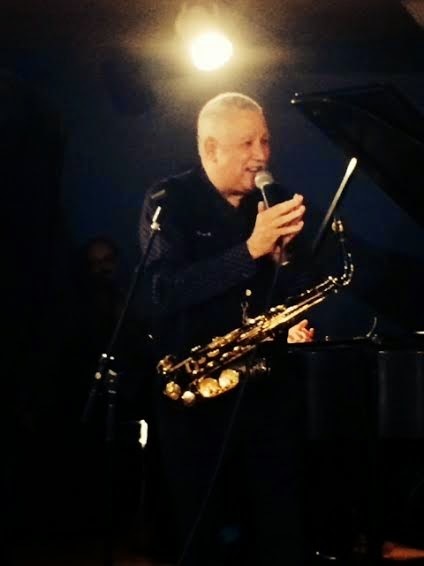 Throughout the concert Paquito would invite special guests to the stage, including a saxophonist, a percussionist/ dancer, and a group of Berklee students. In this way, Paquito was very generous in sharing the spotlight, and he always seemed to bring out the best in others. Throughout the concert, when Paquito was not playing, he would be engaged with the rest of the band. When the trumpet player soloed, Paquito seemed to share the joy he was emitting, and follow him through every musical thought. Paquito was genuinely happy for every soloist, and would congratulate them, which would make everyone play even better. One standout of the show was when a percussionist/ dancer joined the group. For his solo, he placed the microphone on the floor, and without the aid of tap-shoes, just started tapping on the floor. It became pretty outrageous when he started doing these sorts of flips and tricks to obtain a percussive sound against the floor. This experience not only made me laugh, but also illuminated the idea that music can be made from anything. While soloing himself, Paquito always seemed to emit a ray of sunshine, and he would play with the most earnest look on his face. It seemed as if the music was just coming out, and he was reacting to it, with a golden glimmer in his eye from happiness. Meeting Paquito after the show! What I enjoyed most about Paquito was the showmanship he presented. Just like one of his musical heros, Dizzy Gillespie, Paquito would laugh and make jokes, putting the audience at ease. If I learned one thing from Paquito though, it would be that contrary to popular belief, Mozart definitely was from New Orleans!